Many approved drugs are often removed from sale because their benefit to harm ratio is not acceptable. Research published today in BMC Medicine has investigated why this happens, and Joel Lexchin tells us more in this blog. Drugs are supposed to help us and they often do, but sometimes it turns out that the harms that they cause outweigh their benefits and they need to be pulled from the market. This is a subject that I have been looking at from the Canadian perspective for over ten years. In Canada, about 4% of the drugs approved in any five-year period since 1990 eventually are removed from sale because their benefit to harm ratio is not acceptable. Four percent may not sound very high but that figure disguises the number of people exposed to these products. Some of those drugs, such as rofecoxib (Vioxx) were among the most prescribed medicines in the country. This reality should make anyone who has the authority to prescribe a drug cautious, especially when it comes to new drugs where safety information is relatively scant. The median time between when a drug comes onto the market in Canada and when it gets removed is about 3.5 years. The message that I try to remember and that I try to convey to the medical students and residents who come through the emergency department where I work is to be very cautious about prescribing a new drug. Unless you have run out of all other options or unless that new product is spectacularly effective don’t use it. However, that note of caution is often overwhelmed by the promotional messages that come from the drug companies eager to get a return on the money that they have spent researching and developing their new products. Those messages work all too well in influencing the way that doctors prescribe. The new study by Onakpoya et al published today in BMC Medicine analyzing 462 withdrawals world-wide between 1953 and 2013 adds a couple of further unsettling wrinkles to this story about drug safety. Risk management plans and other methods to minimize risk that are common in developed countries have not been adapted to ensure patient safety in the developing world. The first one is the finding that the withdrawal of drugs in Africa is significantly delayed compared to Europe or North America. This conclusion should not come as a surprise since pharmacovigilance centres in most developing countries are severely understaffed and under-resourced. One ray of good news is that there has been a growth in the number of African countries that are official members of the World Health Organization Programme for International Drug Monitoring and that active surveillance systems in selected disease programs are now running in some countries on the African continent. However, much more needs to be done to ensure drug safety and the international community needs to make this a priority. The other piece of bad news is that since 1960 there has not been any consistent decline in how long it takes between the first detection of an adverse reaction and when the drug is finally withdrawn from the market. And although the time to detect adverse reactions has shortened the decrease has not been substantial. One reason for the minimal improvement might be the uneven distribution of personnel, resources and authority between those who approve new drugs and those who monitor their safety. In Canada, three to four times more people and money are allocated to the former compared to the latter. In the United States, the Food and Drug Administration’s Office of Surveillance and Epidemiology (OSE) is subordinate to the Office of New Drugs (OND). This hierarchical relationship elevates the opinions of OND reviewers who have traditionally been trained in pharmacology and related biomedical fields above the epidemiologists, drug safety specialists and risk communications officers in the OSE. Finally, although the reliance on spontaneous adverse reaction reporting for the detection of safety problems has been declining in importance, it is still the major source of information. However, it is common knowledge that only between 1 and 10% of reactions are ever reported. In a recent commentary lead by Dr. Corinne Hohl from the University of British Columbia, we explored why clinicians are reluctant to report. Clinicians want systems that sup­port immediate and short-term patient safety goals. But reporting sys­tems are poorly fitted to clinical practice, time-consuming to complete and not integrated into clinical processes. 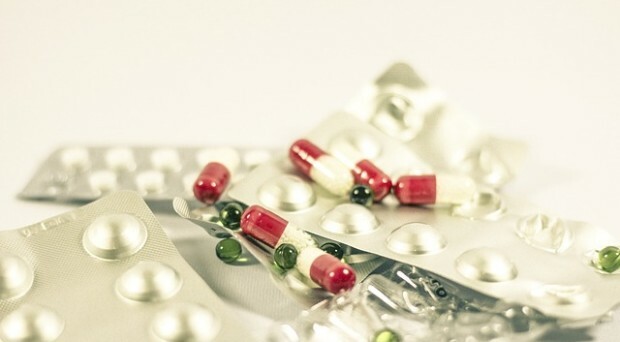 The responsibility for reducing the harms from unsafe drugs needs to be shared by all parties – the pharmaceutical industry, drug regulatory authorities and clinicians in order to ensure that patients are not harmed by the medicines that they take. The IDEAL Collaboration: what is this and why do we need it? Joel Lexchin received his MD from the University of Toronto in 1977. He is currently a Professor in the School of Health Policy and Management at York University in Toronto Canada where he teaches health policy. In addition, he has worked in the emergency department at the University Health Network also in Toronto for 28 years.